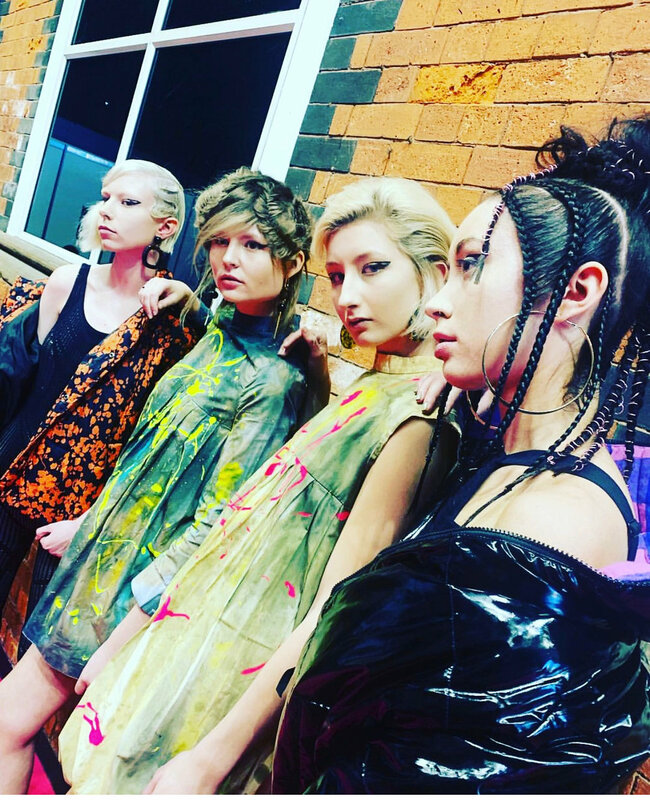 On Monday 25th February the Wonderland Art Team ( W.H.A.T) were asked to present our work on the Fellowship Stage at ProHair Live in Manchester! We were honoured to be asked for a second year to showcase our latest collection. 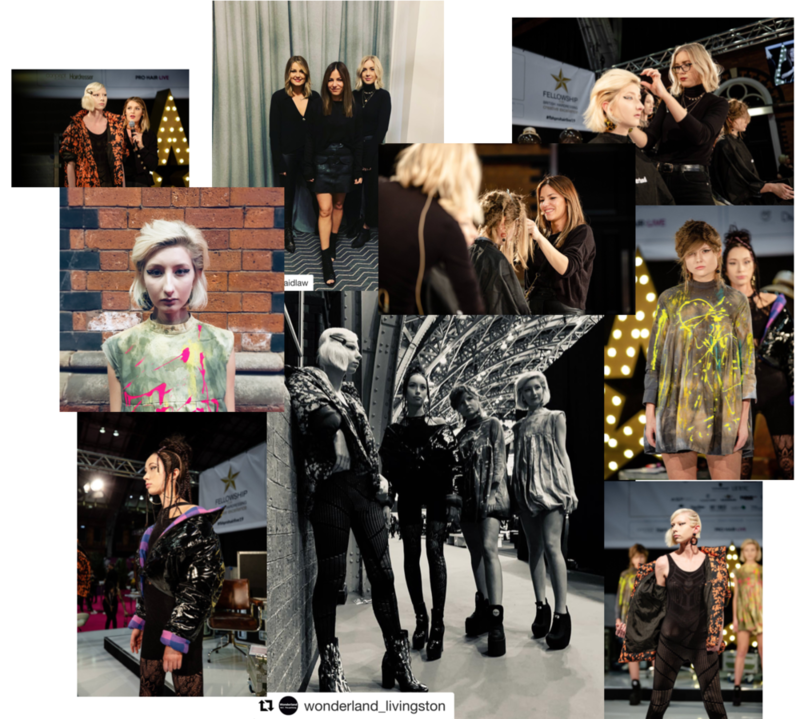 As an Art Team we take time out at the beginning of the year to discuss plans for the year ahead and brainstorm ideas, trends what has caught our eye on the catwalk or in general things we like! We are really lucky because we all have an eye for the same aesthetic which as a team works well! The feeling for our collection is gender proud and what it means to be a woman and how technology and social media have taken over as a place to express our individuality but also to follow trends and fashion. 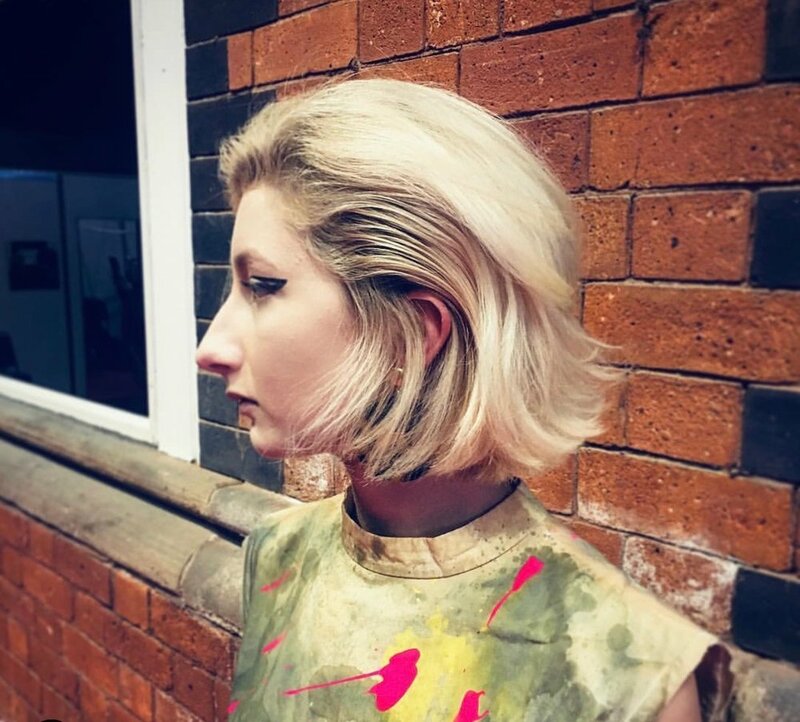 We took inspiration from Alexander Mcqueen’s SS19 collection keeping the hair head hugging, feminine but strong! And also from Louis Vuitton SS19 collection, where they are dressing women to empower them asking the question does it give them strength? Is it powerful? Valentine’s Day is a key date for many in the February calendar. This month I think we should celebrate love for ourselves. With the world of social media taking over, heavily filtered and photoshopped images are flashing through our news feeds subconsciously telling us we are not good enough. The urge to compare and want to ‘fix’ ourselves is a constant for some. However, presenting ourselves is not purely aesthetic it’s about wellbeing. That inner glow that comes from loving ourselves a little more each day. Letting go of the worry and comparing ourselves to the heavily filtered images we are endlessly subjected to. Making time to do the things that make us feel good. 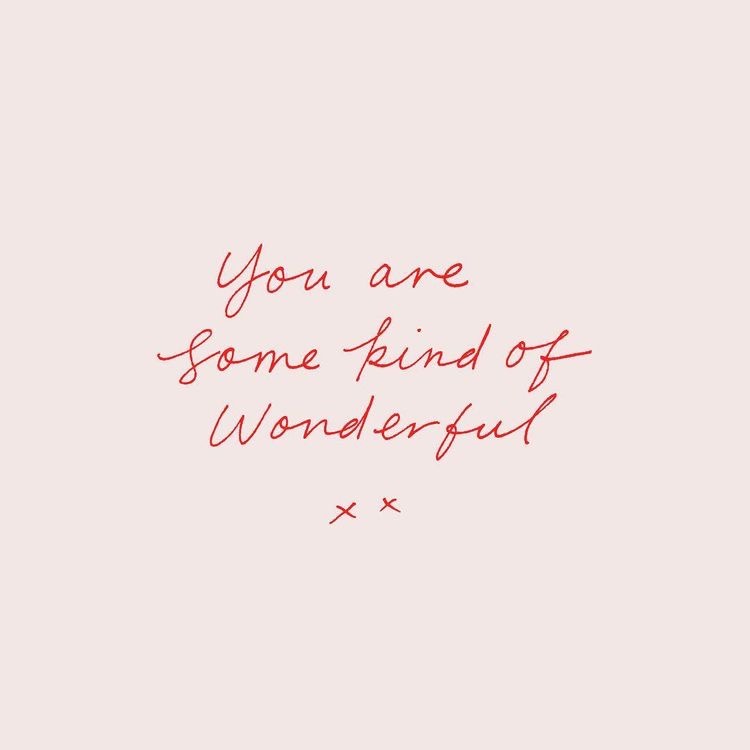 Whether that is getting your hair done, maybe having a facial or taking 5 minutes in the morning to meditate and give yourself a compliment, make time for fitness or learn a new skill. The world could be a different place if we all celebrated the things we love about ourselves, leading the way in self love for the next generation. 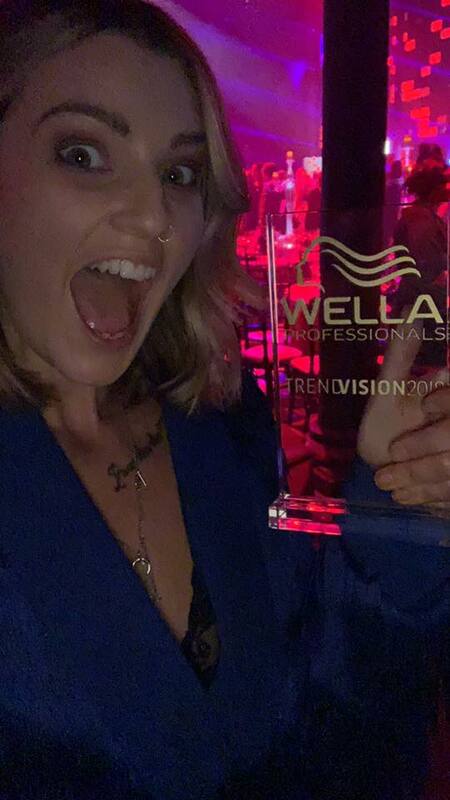 Many of my clients have asked about my recent experience taking part in Wella Trend Vision Award this year, so I thought I’d write a little bit about it all. I am so so pleased to have struck GOLD with WONDERLAND. Nearly 4 years with the team now and I never truly believed I would be able to achieve what I have since joining. This journey started with an idea, a Thursday night in salon, messing around with my phone and some lighting help from Sophie. To then submit an image from that night and gain a place at Scotland and North East regional finals was incredible. 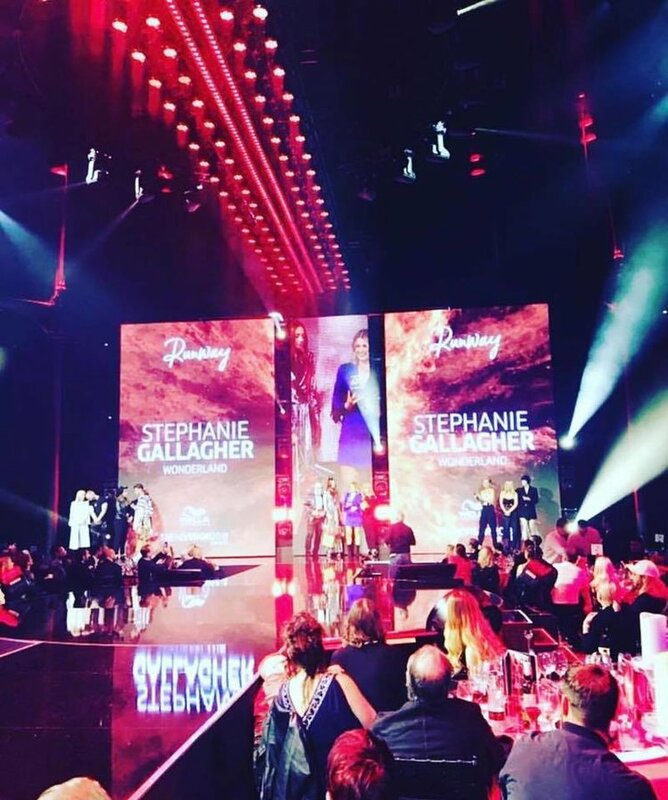 From that moment to subsequently bring home the UK GOLD prize is completely overwhelming(but exciting) It was a brilliant opportunity to share a place with other creative people, network and socially involve myself with the industry on the big stage in London. 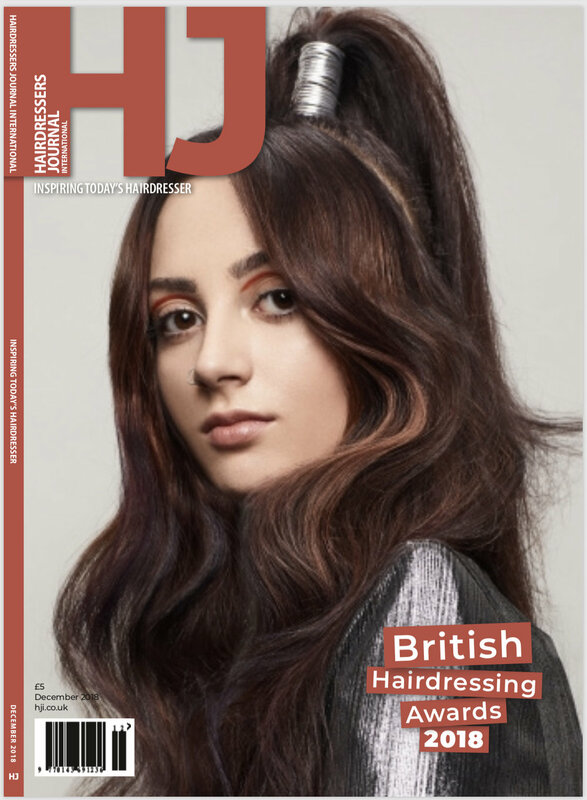 I am so happy to bring the gold back to Scotland for the first time and the whole journey has been toped off by my work being showcased on the front cover of the industry’s leading magazine. Chuffed! 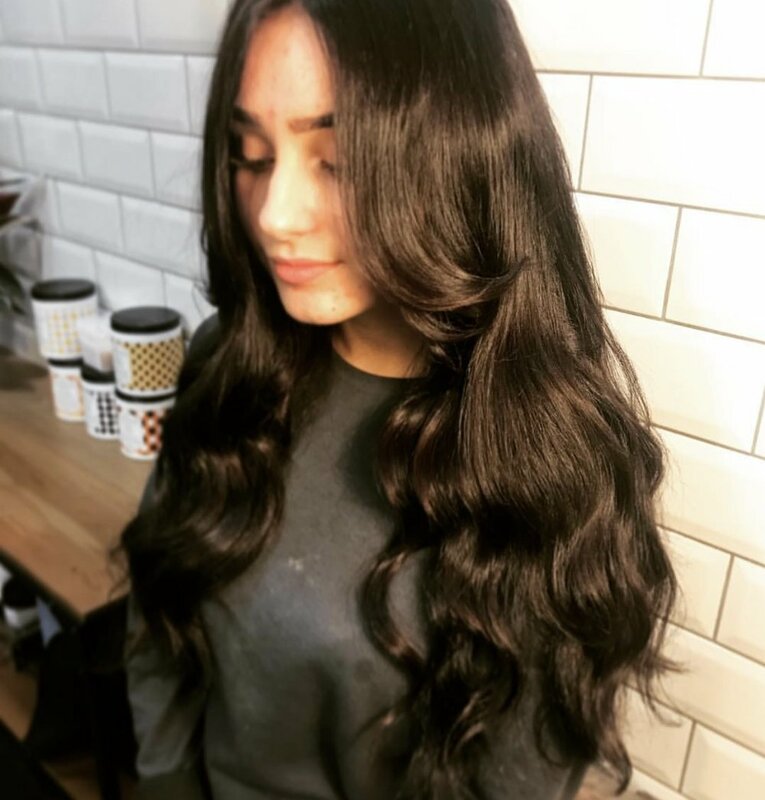 Shine is something that can be bought in the form of a serum or a spray, however we can achieve natural shiny, glossy locks by simply understanding how it works and tweaking our routines! The outer layer of hair is covered in something called the cuticle. Close-up it looks. like fish scales. The main task when you're blow drying is to close the cuticle down and make it smooth. For example- cold water will close the cuticle down, hence the old saying that a cool rinse will make your hair shiny. 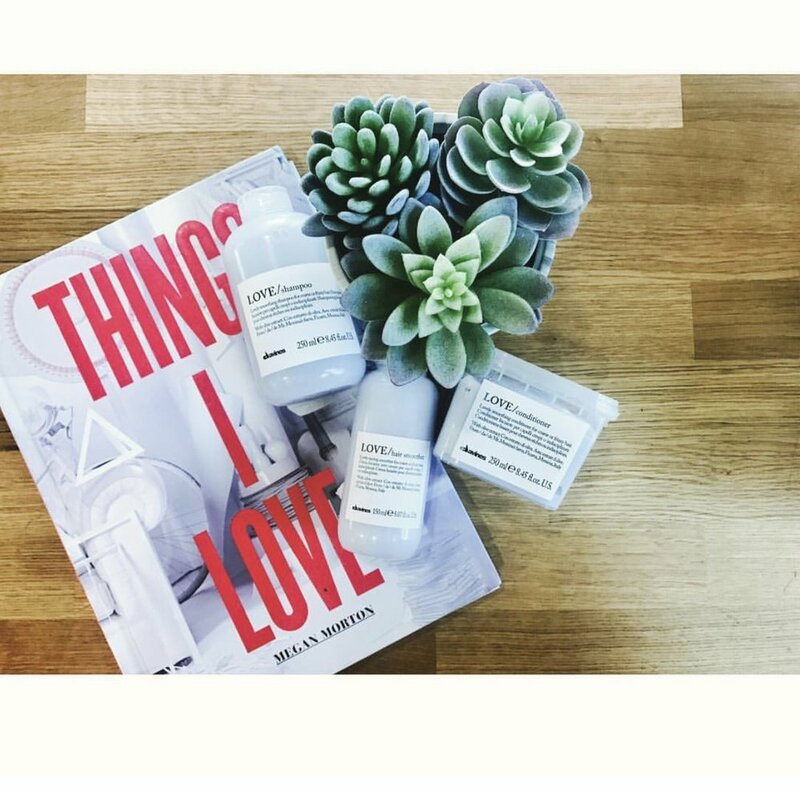 The truth is so will conditioner, keeping your hair hydrated with treatments will too. Try using the cool shot button on your hairdryer, and always use a nozzle as it directs the airflow directly down the cuticle layer. Ghd stylers are also set at exactly the right temperature to shut down the cuticle and retain moisture. Try eating things like salmon, that are full of fatty acids that are great for glossy locks. After summer holidays Dry,dull, dehydrated hair can be reawakened with some simple tweaks to your routine. Did you know the surface of the hair is covered in a cuticle layer? Close-up it looks like fish scales, and if all these scales are sitting up and open the light won't reflect in the same way it would if they were sitting smooth and flat. Basically what we need to focus on for shiny hair is shutting that cuticle down so it's as flat as possible and reflects the light again. 1.) a good conditioner. Shampoo opens the cuticle and cleans the hair, conditioner shuts it down and smoothes it. Always invest in a good quality conditioner. 2.) cold water rinse. Hot water opens the cuticle and is great for washing , try cooling it down a little after conditioning to close the cuticle down and increase shine. After the summer sun has faded, has your hair too? Sun and hair are not always the best combination. Uv exposure can break down hair proteins causing hair to look dull, feel straw like and weaken hair’s tensile and physical properties. Thicker hair can be more resilient to the suns ray's whilst finer hair will suffer more causing frizziness and potentially breakage. The best time to refresh your colour is after a holiday. Opt for a semi-permanent gloss to restore vibrancy and shine. Keep your scalp hydrated by drinking plenty of water and restore moisture levels with leave-in masks. 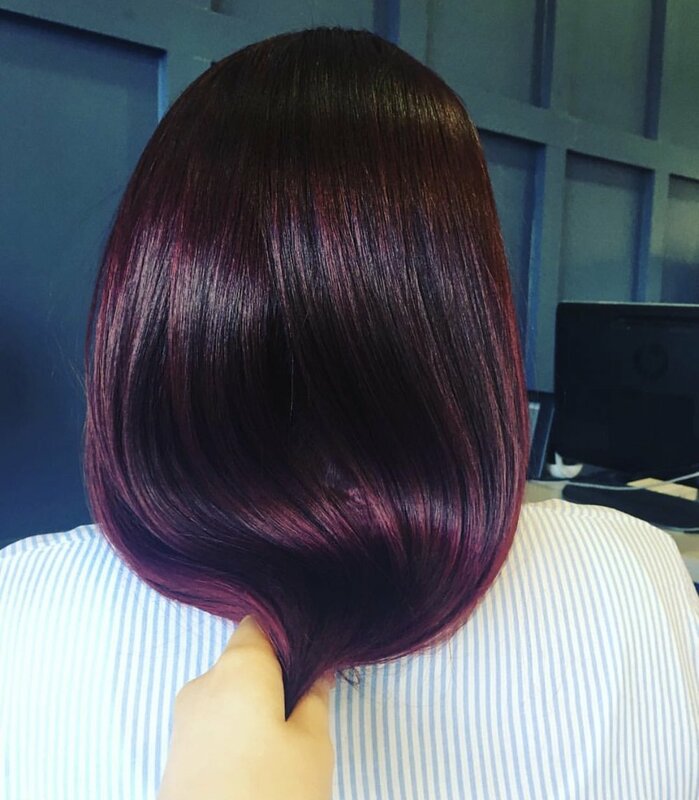 If you haven't already, ask your stylist to add Olaplex to your colour which works by holding the bonds that are normally broken with chemical process and putting them back in place.